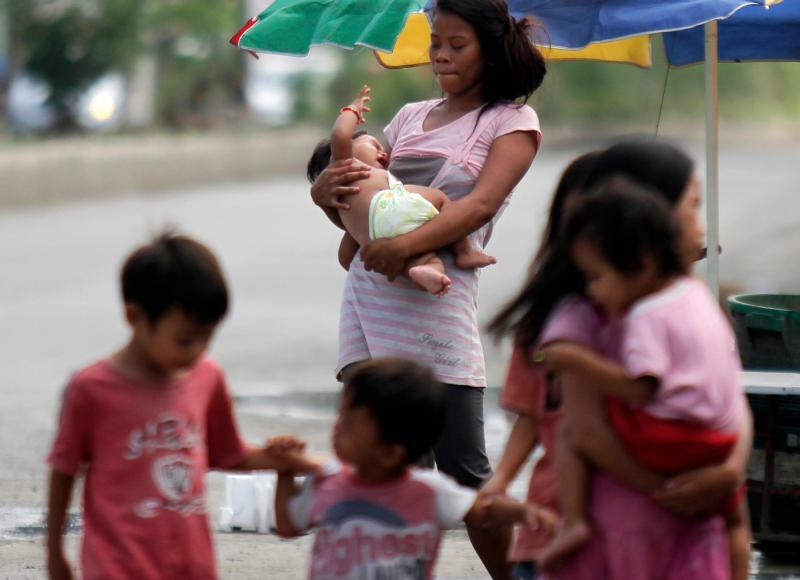 VATICAN CITY (CNS) — Just over a month into the Year of Mercy, Catholics from around the world will gather in Cebu, Philippines, for the International Eucharistic Congress, an opportunity to remind Catholics that reaching out to all with the Gospel is a key act of mercy. Archbishop Jose S. Palma of Cebu told reporters at the Vatican Oct. 27 that the theme of the congress — “Christ in you, our hope of glory” — was chosen long before Pope Francis announced the special jubilee Year of Mercy would begin Dec. 8. However, he said, the Jan. 24-31 congress in Cebu will be filled not only with reflections on hope and mercy, but also on the inclusion of the poor and marginalized. The theme also has a strong missionary thrust, which for Catholics in Asia takes the form of dialogue with other cultures and religions, he said. Blessed Sacrament Father Vittore Boccardi, a staff member at the Pontifical Committee for International Eucharistic Congresses, said: “What is mission of the church? To bring God’s mercy,” so it is providential that the congress is being celebrated during the jubilee year. Holding the congress in the Philippines will allow people from throughout Asia and the South Pacific to attend more easily than they could if it were held in Europe or North America, he said, but also is important to help prepare for the Philippines’ 2021 celebration of the 500th anniversary of its evangelization. Archbishop Palma told reporters that “in spite of being the continent where Jesus was born, lived, died and rose again,” Asia is a continent waiting to be evangelized. Only about 3 percent of the continent’s people are Catholic. The events open on a major religious feast day in the Philippines, the feast of the Holy Child, commonly referred to as Santo Nino. “It is our prayer than many will come to Cebu, home of the Santo Nino — he who would eventually offer his body to each and blood to drink in the Eucharist,” the archbishop said. A new, 14,000-seat International Eucharistic Congress pavilion has been completed, the archbishop said. It is expected to host some 20 cardinals, 100 Filipino bishops, 50 bishops from other countries and about 5,000 Filipino priests during the congress. Pilgrims from 57 nations have already registered for the congress, which will close with an outdoor Mass on a field that can accommodate 1 million people. The congress website — www.iec2016.ph — is up and running with information in English, French, Italian, Spanish and Portuguese.